Aristocratic patrons with ties to cosmopolitan courts and with a taste for elegance commissioned works based on the now established gothic, helping to develop the International Gothic style. One such project, the Carthusian monastery Chartreuse de Champmol, attracted some of Europe's greatest talent, by then steeped in the innovations rippling throughout Europe. 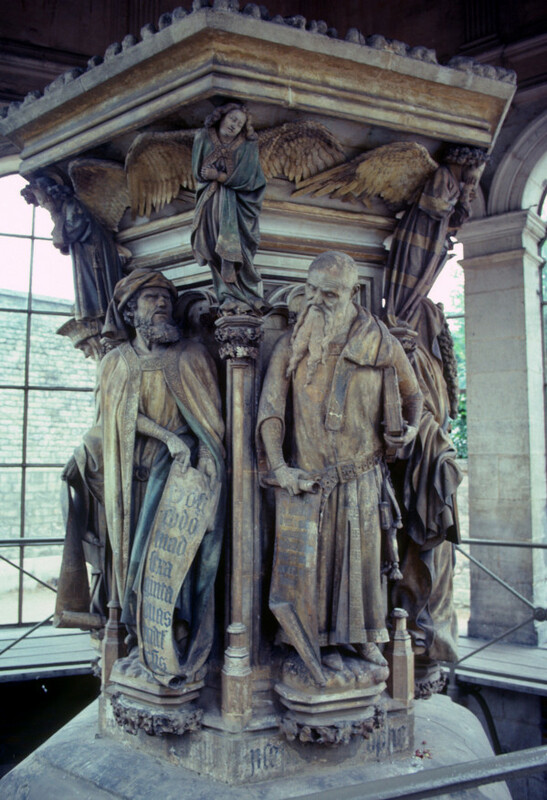 One such talented artist, Claus Sluter, created the sculptural adornments of a well that became emblematic of the International Gothic style.